Wir hatten letzte Woche im Strickcafé Leipzig netten Besuch von einem jungen Mann. Der brachte uns allerlei Fotos von alten Handarbeitszubehör mit. Er soll in den nächsten Wochen darüber eine Arbeit schreiben und herausfinden wozu diese Teile benutzt wurden. Alle Teile stammen aus einer Sammlung einer alten Dame in Freiberg, die sie dem Bergbaumuseum vererbt hat. Leider konnten viele Teile noch nicht zugeordnet werden. Vielleicht könntest du uns dabei helfen???? 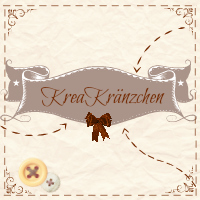 PS: Sehr interessanter Blog! Muß ich mir gleich mal abspeichern! Als Fachfrau würde ich mich nicht grade bezeichnen, aber ich kann mir die Fotos gerne einmal ansehen, vielleicht kann ich helfen. Ansonsten welche Bücher ich immer empfehlen kann für solche Fragen sind zum einen Denise Diderots Encyclopédie, ein Werk aus dem 18. Jh. Darin enthalten sind viele Tafeln zum Thema Handarbeiten, vielleicht findet ihr da einige Antworten. Die Encyclopédie ist inzwischen vielfach als Online-Version einzusehen, unter anderem auch auf Wikipedia. Das andere Buch ist die Encyclopedie der weiblichen Handarbeiten von Therese de Dillmont, erschienen 1908. Dort sind nicht nur viele Werkzeuge abgebildet, sondern auch deren Verwendung beschrieben. i just discovered your blog by accident, and I have decided that we should be best friends (sounds creepy). We have too many things in common for this not to work! Wir können auch Deutsch schreiben, egal. I live in CH too, we have never met, but we should. things in common: Art History, vintage clothing, crafts, flea markets, antique fabrics… i actually have a blog that i never update and only created to keep a record for eternity. blogz.ch/sunntigsgwand. If you’re interested to contact me, do it. I’d love to hear from you. And I am going home straight after work to make those culottes! Hihi, das klingt wirklich sehr ähnlich. Wir können uns gerne mal treffen. Bin öfters in Bern, mangels GA sonst eher nicht so flexibel. Wo wohnst du denn? I’m so glad I have discovered your blog! It’s so interesting! Looking forward to read more! Thank you very much, welcome! A really rare creative individual. I also have a keen interest in period costume, mainly military, through museums and reenacting. The changes in style and fashion are striking. Are you also interested in historical reenactment ? You may have heard of PostModernJukebox, who do for music, what you are doing with your wardrobe. Thank you very much, Justin. Somehow I have never tried reenactment. Partly because I never found any groups nearby but the main reason is that I can’t settle on one epoche and concentrate my energies on it. You see it here, I try very many different things, I don’t think I would be happy for long staying in one era. And military reenactment is not my thing at all. I have never been interested in that sort of stuff, maybe because being German. For me war and forces still hold nothing positive in them but are only a reminder of a past that shouldn’t be forgotten but definitely not glorified or played with. Maybe I would think different if I were born here in Switzerland, where the forces are a sign of independence and strength as well as of neutrality. That is interesting, “About me”. I am very concerned about crafts. I will follow your blog! Hallo, i have Pfaff 30, and please, i need some help. My machine missing probably one small part, and i need some photo of one detail on the machine. Can You please contact me? Sorry for my bad english. Ah, that show’s my ignorance. I assumed you were Swiss, and O.K. with the military reenactment. Sorry. Music-wise, do you like Post Modern Jukebox, with their historical mis appropriation ? They will be touring in Switzerland, soon March 16. Incidentally, apart from your 30’s dress , which i commented on already, your 1920’s creation, looks very Bauhaus-era/style. Have you done any consultancy work for T.V./film ? CHF1 did the Alpenfestung Leben im Reduit t.v. series, about the 40’s. They stuck some guys in a hillside fortress. Women and children worked on a hill-farm. The fashions were pretty simple , practical for labouring etc.